In Nashik, Elite Cosmetic Surgery Center is one of the best cosmetic surgery centers. If you are wearing earrings which have in weight then it may cause in enlarged piercing. 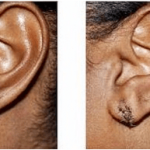 In cosmetic facial surgery, many surgeries of different parts of the face are included but split earlobe repair is one of the commonest requests in cosmetic facial surgery. 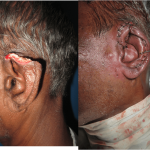 Frequently, the ear lobe split is prone to recurrence following surgical repair. 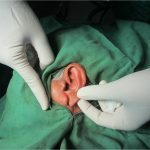 The new technique is described is, As the ear lobe tissues using locally available conchal cartilage to prevent recurrence. Elite Cosmetic Surgery Center use that new technique to repair split ear lobule. Nowadays many classifications in split ear repair surgery are introduced. 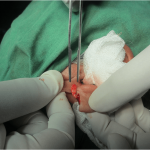 There are some methods that we have to follow for the split ear repair surgery. Method: As there are twenty-two women in the age range from 18 to 62 years who has a problem of the split earlobe. Due to this problem, they are facing many difficulties in their day to day life. 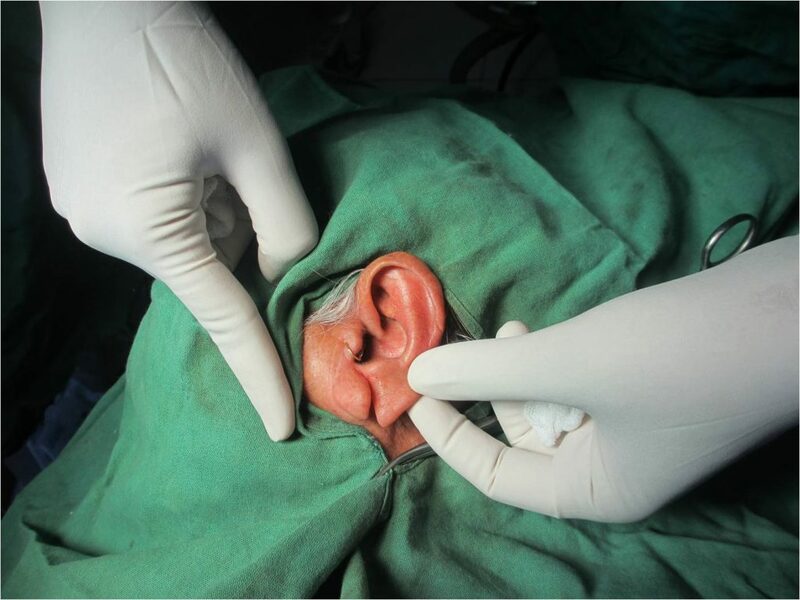 To overcome this problem different grades of split ear lobe were operated using the technique of conchal cartilage reinforcement of ear lobe. 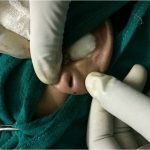 Using this technique Elite Cosmetic Surgery Center provides the best treatments to repair split Ear Lobule in Nashik. 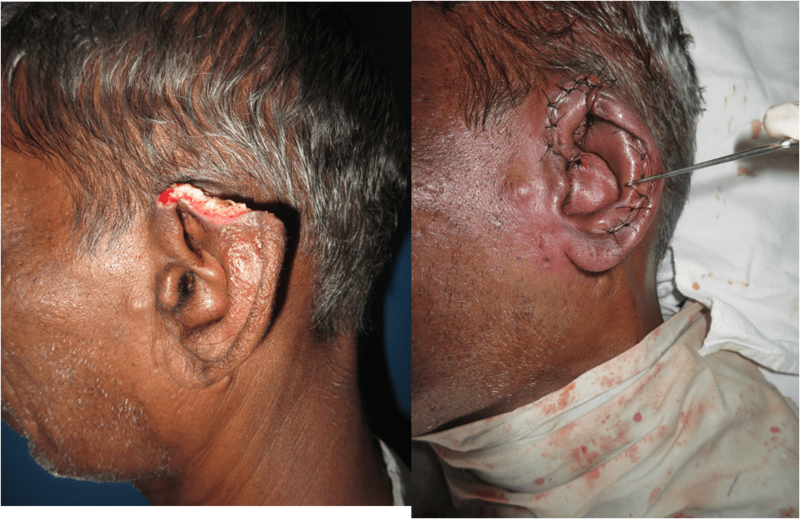 Total of 30 split earlobes was repaired and Eight females had bilateral involvement. At the time of repair of the ear lobe, a conchal cartilage disc was harvested. The ear lobe was repaired over this pocket while This disc was placed in a pocket created in the ear lobe. 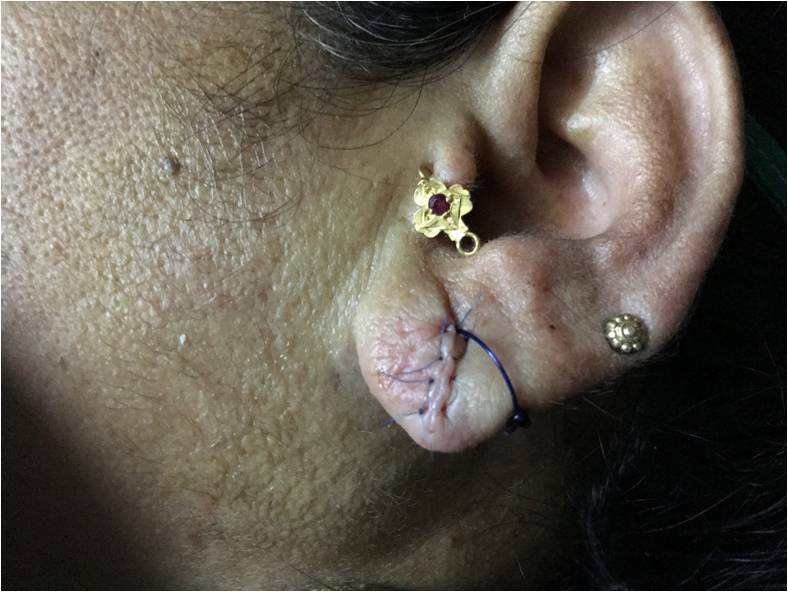 By implantation of conchal disc re-perforation of the ear lobe was done in a central location and after that stud earring was applied for few days till that stitches which you will get after surgery will dissolve. 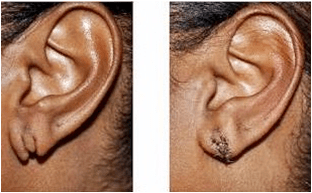 So if you are thinking to repair your split ear then come visit elite cosmetic surgery center which is ISO certified and most treatable cosmetic surgery center in Nashik where we provide Split Ear Lobule Repair in affordable cost. To Experience, the New Technologies Treatments in Nashik, Visit Elite Cosmetic Surgery Center for Best Split Ear Lobule Repair Treatment in Nashik.